Let us sweeten your day! Our Charlotte camera crew, Tori Musciano, had a sweet day on a shoot at SnoCream Company in Annandale, Virginia. Food Network‘s ice cream week required great content from Citizen Pictures. 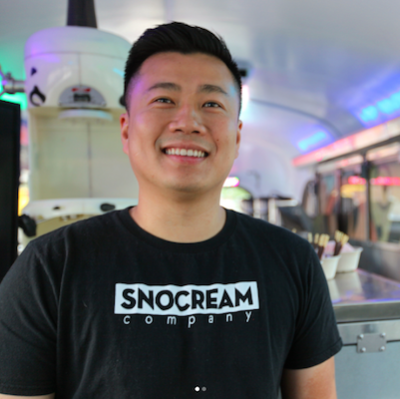 SnoCream Company is located in a vintage school bus that has been refitted as a colorful, eclectic cafe. 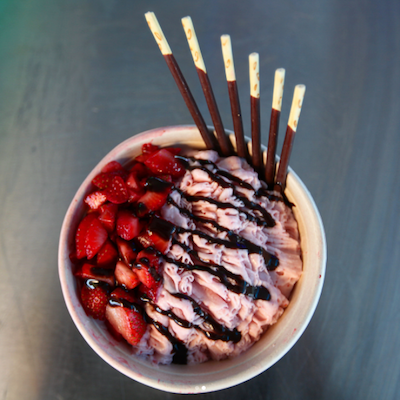 They serve Taiwanese ice cream – like a hybrid of shaved ice and ice cream – bubble tea and macarons. What better way to cool off than with ice cream?